We know the facts. We've seen the movie. It stays with us and sometimes hunts our dreams. 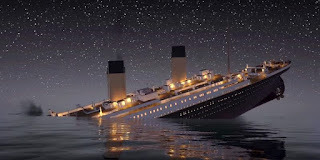 But shocking new facts have emerged about the sea tragedy of a famous sunken ship that took hundreds of lives in 1912. It’s been one of the biggest debated disasters for more than 100 years, but experts now believe that the RMS Titanic did not sink from an iceberg—at least not just that. Well investigated and well documented. Countless books, essays and a major Hollywood movie have all told the well known story that the ‘unsinkable’ ship collided with an iceberg in the North Atlantic Ocean. But there is a much more distressing twist to the story. Blazing fire in the open sea. A Titanic New Evidence has emerged that a huge fire was majorly responsible for the sinking of the ship, and the death of more than 1,500 passengers. 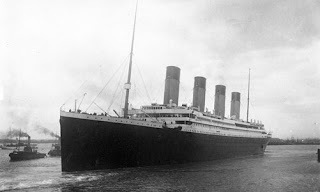 As the story goes, in April 1912, the largest passenger ship Titanic set off on its maiden voyage from Southampton to New York – but it tragically never reached its destination. This is because even before it set off, a fire was already burning in the ships massive belly. It burned for almost a month! Now fresh evidence indicates there was a fire in the ship’s hull, which burned unnoticed for almost three weeks before that fateful night. The blaze had already started even before the doomed ship left the dock in Belfast. The expert, who has researched the Titanic for 30 years, spotted 30ft-long black marks, just behind where the ship’s lining was struck by the iceberg. We are looking at the exact area where the iceberg stuck, and we appear to have a weakness or damage to the hull in that specific place, before she even left Belfast,’ he said. The marks were likely to have been caused by a fire in one of the boiler rooms, experts confirmed. The steel so weakened by the excessive and consistent heat. So when the ship hit the iceberg, the steel hull was too weak and immediately tore open. An alleged cover up that proved deadly. It is claimed workmen were told to hide the damage from passengers. Heavy publicity and greed must have played a role in the selfish decision to keep the fire quiet. It was kept under wraps and the ship was reversed in at the Southampton docks to prevent passengers from spotting the damage. It was an alleged cover up that led to the unnecessary deaths of numerous passengers and the sinking of a truly magnificent ship—The Titanic.